In its first year, Nintendo’s latest console has felt like a staple in the gaming world for forever. It has churned out some of the best games from the company’s old franchises, while porting and publishing powerhouse indie and AAA titles for a library that’s 150 games strong and growing. Of those, which game really stuck with you? Welcome back to TAY’s Theme Week where I’m asking for your contributions in celebration of Nintendo Switch’s first year. It can be a moment from a game that really blew your mind, a song that did it, an entire experience, or some fun times you had with friends that made you love the console. It can be all of those, or none of those—that creativity in your approach to this theme week is all up to you! Maybe you really were disappointed with your first year with your Nintendo Switch. It happens! Perhaps you finally got to try a game that you didn’t buy for another console. The portability is amazing. Some of you have shared these stories already too. But if you’ve got a new story to tell or an old one you want to expand on, please feel free to talk all about it. For all my non-Nintendo Switch owners, don’t feel left out. If you’d like to participate in Theme Week, then you can talk about why you aren’t sold on getting one just yet or ever. Or you can talk about any console of your choice and your favorite or least favorite moments in its first year of release. I know that many of you are hard-pressed for time, or not feeling very motivated. It happens. It sure does to me. But I’m hoping we can do something together to encourage our fine fellow TAY’ers that hitting the publish button isn’t so daunting. Or that getting to know your fellow TAY’ers a little bit more shouldn’t be a scary situation. Or simply to let you all know and each other that all of your contributions matter. The rules of Theme Week are simple: Write, Art, Discuss, Encourage. The Theme, as mentioned, is One Year With Nintendo Switch. You can write, spark topic discussions or talk about it anyway you like. But let’s think critically! What made it great? What made it mediocre? What made it the sadness? Or something! It doesn’t have to be a 3,000 word essay. It can be a paragraph or two. It can be a topic discussion — some of the easiest ways to engage the community is to put forth a simple question. It can be an invitation to watch you stream a game. It can be a song you want to share. It can be a silly or amazing drawing. A poem. A piece of tasteful satire. A fictional story. A hilarious screenshot with a few words to back it up. You don’t have to have TAY authorship to participate. Maybe you’re testing the waters and don’t know how to start. This is a great time to try! So how do you get seen? Tag your article with “TAY Classic” and someone will share it over. No Pressure. The point of Theme Week is to get our creative juices flowing and to have fun. You don’t have to participate, TAY. If someone does participate though, the only thing I’d suggest is that we give that person some feedback even in the simplest of ways. A “great article” comment goes a long way, and if you can do more to have a thoughtful discussion with the author, awesome. It’s the sort of thing we should be doing as is, theme week or not. I know we don’t always have the time to comment but trying is something we can all do..
Let’s set this Theme Week to run during the week of from now until the end of March. That’s quite the while to plan. Theme week runs in conjunction with whatever you want to write or had planned. And again, this isn’t mandatory but rather a fun writing prompt for the community to get involved. 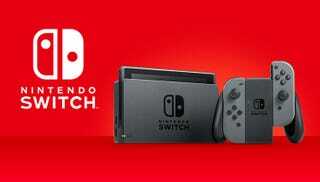 *Don’t forget, if you don’t have a Nintendo Switch but want to participate, you can talk about why you do or don’t want one, or tell us about the first year of gaming with your console of choice. Most of all: Have fun! Looking forward to what we come up with.